Designing Worlds enters the deep waters of the mer – and offers a fantastic prize! 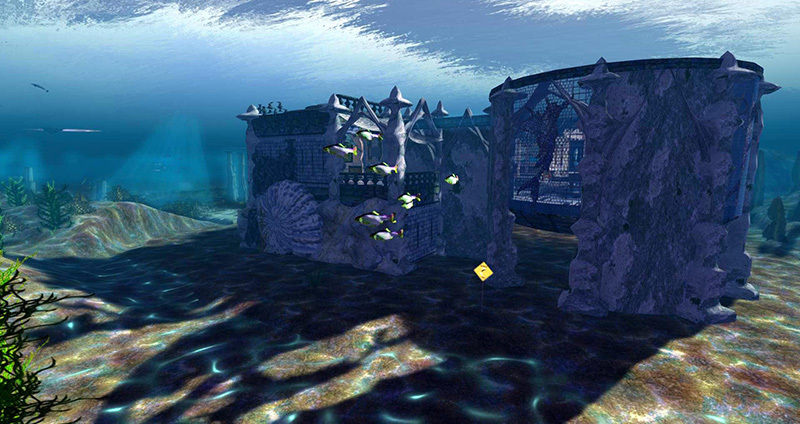 Join us today, Monday 16th June at 2pm SLT at the Designing Worlds studio in Garden of Dreams for a viewing party of our latest episode as we visit the waters of Fanci’s Deep – above … but mostly below the waterline. And for one of our audience, there’s a chance to win a fantastic prize! Fanci’s Deep is an incredible region of pirates and mermaids – and this time we are exploring the underwater regions of the mer. 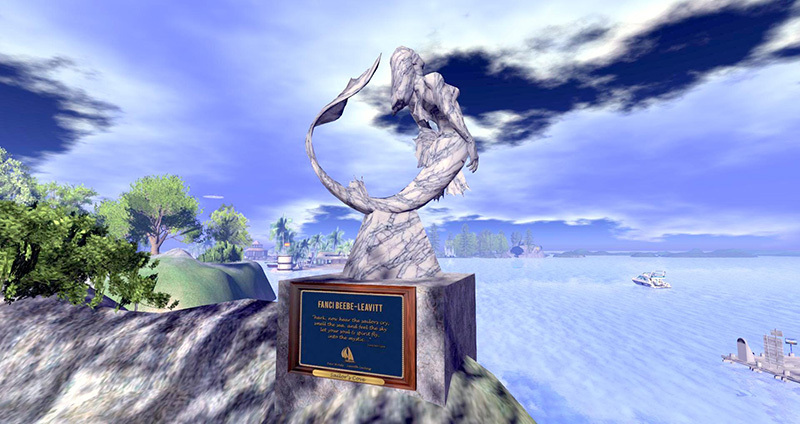 We’ll be meeting Grace Wrigglesworth of the Safe Waters Foundation, an organisation dedicated to supporting mermaids and mermen in Second Life – and introducing newcomers to their amazing underwater world. 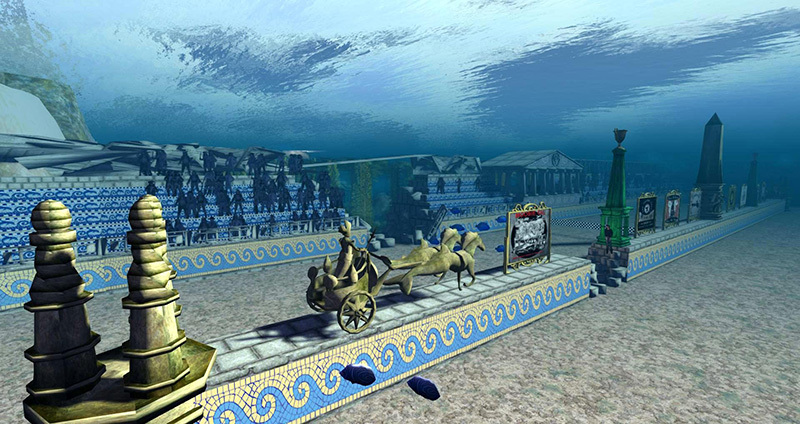 Saffia explores an underwater tour of mainland seas and finds some fascinating evidence of a lost civilisation, while Elrik discovers the joys of underwater chariot racing! We also talk to Nber Medici and MarkTwain White about the background to Fanci’s Deep, and how the underwater world was created in memory of the late Fanci Beebe, formerly owner of the Sailors’ Cove estate, who loved mers so well. And Nber and Mark are offering a fantastic prize – a month’s FREE rent to a mer parcel in Fanci’s Deep – for you to experience this wonderful environment for yourself! It won’t cost you anything to furnish it either – many of the designs in Fanci’s Deep are the work of the wonderful Aley who has a range of mer homes and furniture available at AleyMart on the marketplace. Join us at 2pm for a prizewinnng, fun and spectacular show – make sure that you don’t miss it! Previous Post: SL11B Community Celebration: how to make sure your build is on the pod car tour! Next Post: SL11B Community Celebration Video No 14: Add to the Time Capsule!